This is to bring to your notice that I am a delegate from the United Nations to The IMF (International Monetary Fund) West Africa Regional Payment Office to pay 521 scam victims $2,600,000.00 USD (Four Hundred Thousand Dollars only) each. You are listed and approved for this payment as one of the scammed victims to be paid this amount, get back to me as soon as possible for the immediate payments of your $2,600,000.00 USD compensations funds. 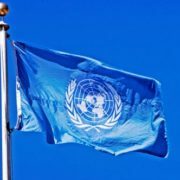 On this faithful recommendations, I want you to know that during the last U.N. meetings held at Abuja, Federal Republic of Nigeria, it was alarmed so much by the world in the meetings on the lost of funds by various individual to scam artist operating in syndicates all over the world today. In other to compensate these victims, the U.N Body is now paying 521 victims of this operators $2,600,000.00 USD each in accordance with the U.N .recommendations. 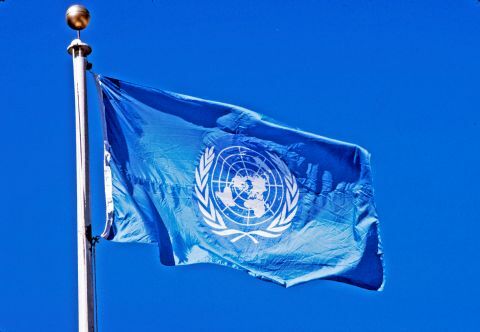 Due to the corrupt and in-efficient Banking Systems in Federal Republic of Nigeria, the payments are to be paid by UN officials sitting at IMF (International Monetary Fund) West Africa Regional Payment Office as corresponding payment center under funding assistance by United Nation body. According to the number of applicants at hand, 284 Beneficiaries has been paid, half of the victims are from the United States, and we still have more 237 left to be paid the compensations of $2,600,000.00 USD each. ATM VISA Card: We will be issuing you a custom pin based ATM card which you will use to withdraw up to $10,000 per day from any ATM machine that has the Card Logo on it. Also with the ATM card you will be able to transfer your funds to your local bank account. The ATM card comes with a handbook or manual to enlighten you about how to use it. Even if you do not have a bank account. Check: To be deposited in your bank for it to be cleared within three working days.Your payment would be sent to you via any of your preferred option and would be mailed to you via FedEx. Because we have signed a contract with FedEx which should expire by the end of February 2018 you will only need to pay $120.00 instead of $454.00 saving you $369.00! So if you pay before February 20th you save $334.00 Take note that anyone asking you for some kind of money above the usual fee is definitely a fraudsters and you will have to stop communication with every other person if you have been in contact with any. Also remember that all you will ever have to spend is $120 nothing more! Nothing less! And we guarantee the receipt of your fund to be successfully delivered to you within the next 24hrs after the receipt of payment has been confirmed.